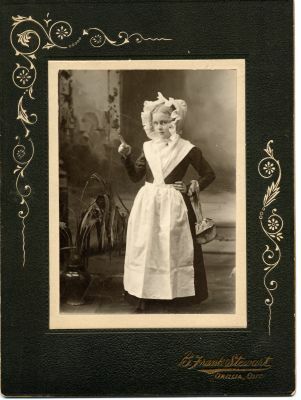 Young girl in early black dress, white apron and hat, with handbag; Photographer. B.Frank Stewart, Orilla, Ontario framed. ; Blossom Appelbe, white apron and hat.